Tests of a new towed vehicle Deep-See from the NOAA survey ship Henry B. Bigelow will begin to build a detailed picture of life below the sunlit surface of the ocean. WHOI's new towed vehicle, the Deep-See. 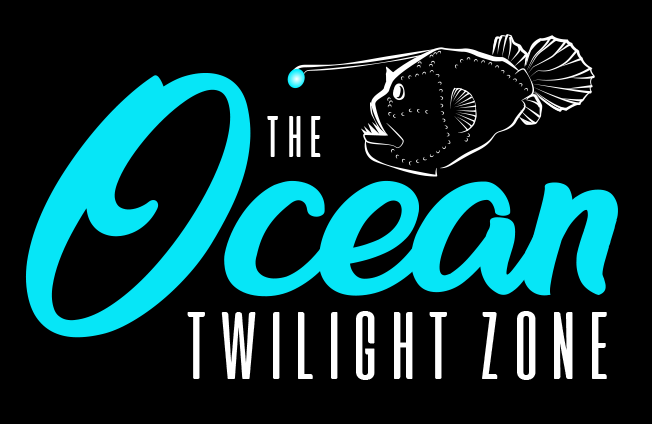 7/13/18—On August 11, scientists and engineers from the Woods Hole Oceanographic Institution (WHOI), NOAA Fisheries’ Northeast Fisheries Science Center (NEFSC), and the University of Connecticut will begin a research expedition to test a new tool that will vastly expand knowledge of the twilight zone, a relatively unknown and unstudied, but critical, part of the ocean. The trip will center on tests of Deep-See, an NSF-funded towed vehicle packed with sensors and cameras designed to bring an unprecedented amount of data back to the surface about life in the twilight zone. The twilight zone is a globe-spanning layer of the ocean 200 to 1,000 meters (660 to 3,300 feet) below the surface that once was believed to harbor very little life because it lies just at or beyond the reach of sunlight. However, scientists now know that the twilight zone teems with life—as much as ten times more than previously believed. Twilight zone animals help support food webs throughout the ocean and are also intertwined with Earth's climate as they help move carbon from surface waters to the deep ocean, away from the atmosphere. The twilight zone is also home to the largest animal migration on Earth, one that happens every day as many of its residents swim to the surface at night to feed and then retreat to the depths during the day to avoid predators. It is in effect a world within our world that is only beginning to be explored, even as commercial fishing operations begin to eye its potential bounty. Sixteen scientists and engineers will depart Newport, R.I., on the Henry B. Bigelow, a state-of-the-art fisheries survey vessel operated by the National Oceanic and Atmospheric Administration (NOAA) used to study a wide range of marine life and ocean conditions along the U.S. East Coast. For this expedition, the ship installed a specialized 4,000 meter-long (13,000 feet) cable equipped with a fiber optic data line that can tow the vehicle while also transmitting large amounts of data from the vehicle to the ship. During the 10-day trip, the science party and crew will use the ship’s hull-mounted sonar to locate layers of fish, krill, and other organisms, then lower Deep-See into the water and let its sensors take over. Advanced sonars on Deep-See will transmit sound waves across a broad range of frequencies that will bounce off organisms in the water below it, allowing researchers on board to detect—and possibly count and identify—individual animals in real-time. The vehicle will carry a high-resolution holographic camera, a wide-area stereo camera to capture unprecedented detail of the organisms that call the twilight zone home and a suite of environmental sensors that will measure temperature, salinity, and oxygen content of the region. Newly designed radiometers will also be able to distinguish light produced by organisms to hunt, find mates, or evade predators from the faint light of the sun far above. While ship-mounted sonars can provide an overall picture of what fish live in the twilight zone, they can’t always detect small or gelatinous organisms, or give a detailed view of the number of species or individuals that live there—a task at which Deep-See’s acoustic and camera systems excel. Hovering just above the twilight zone, the Deep-See’s broad-frequency sonars will be able to capture a close-up view of the animals there. Lowered into the twilight zone, the vehicle’s cameras will help to identify twilight zone species, and also provide a look at fragile organisms such as jellyfish that could be missed by sonar and would likely not survive being captured and brought to the surface in a net. Where the cameras can only see what is in their immediate field of view, however, the sonars can see far beyond into the darkness. At their peak of operation, all of these instruments will result in nearly 2 terabytes of data flowing to the surface per hour through a fiber optic cable linking Deep-See to the ship. In addition, the team on board the Bigelow will conduct a series of net tows to bring animals to the surface in order to identify them and examine their stomach contents. A sampler on the Deep-See will collect water containing free-floating DNA—the genetic “fingerprints” that twilight zone animals have left behind. By comparing all the different kinds of data collected by the Deep-See’s instruments, researchers will be able to evaluate the vehicle’s performance and form a more detailed, comprehensive picture of life in the twilight zone. Two more cruises planned for 2019 and 2020 will further expand understanding of the twilight zone and its role in supporting life in the ocean and on our planet.